In 2005, after many years of civil war, a comprehensive peace agreement was signed between the main warring factions in Sudan, paving the way for post-conflict peacebuilding initiatives to commence. While slow, this process is ongoing and progress is being made. Following a referendum, South Sudan became an independent state in 2011. South Sudan is now left to the task of building their fledgling state, while simultaneously bringing some semblance of peace and security to its people – many of whom are still fighting amongst themselves. Rivalling tribes within the south, divided along ethnic lines and fuelled by historical grudges, continue to battle over scarce resources. While the international community is on the ground to support the peacebuilding process, for a sustainable peace to ever be achieved the people of South Sudan must look to their own community leaders to lead the way. One of the nation’s greatest challenges is that there is a tragic shortfall of educated citizens who have the capacity to step up and fill this need, particularly amongst certain tribes. One such tribe is the Murle who live far removed from the urban centres and continue to follow a very traditional, nomadic lifestyle. Without strong leadership, the Murle risk finding themselves embroiled in recurring conflict with neighboring tribes and Government forces. This will lead to the Murle’s continued marginalization, if not eventual destruction. 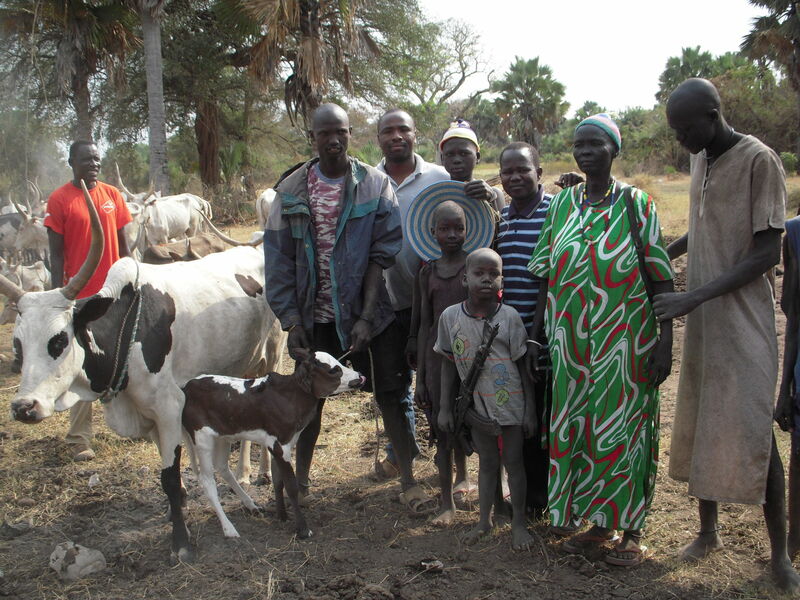 There are a few amongst the Murle community who have the potential to help lead their communities down the path to peace. They just need to be armed with a bit more education, so they can then draw upon their skills and resources as needed. Hakim with his family. His wife has since passed away. His relatives care for his daughter while he is in school. One such individual is Hakim. Hakim is from the Murle tribe and has been involved in community peacebuilding at a grass-roots level for more than a decade. Recognizing Hakim’s tremendous potential and value as a strong community leader, we made a commitment to fund his education. Since 2009, we have been supporting him as he works to complete a university degree. Hakim is currently studying at Uganda Christian University and working towards a Bachelors Degree in Public Administration and Management. 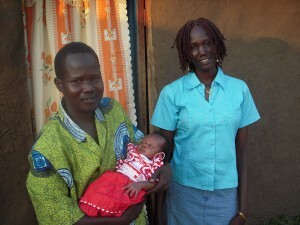 He recently completed an internship at the South Sudan Bureau for Community Security and Arms Control. Upon graduating in 2014 he plans to focus on community development work, with an emphasis on peacebuilding within the Murle tribe. We believe he has a bright future ahead, and look forward to watching it unfold.